In seventh grade, a science project is typically required by most schools. Science projects help children employ critical thinking skills and learn the scientific process. There are many projects that children can choose in a variety of science topics. 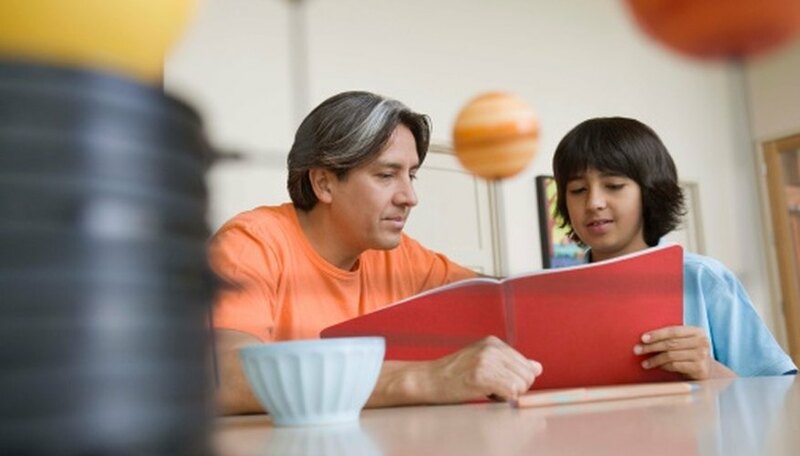 Allow your seventh-grader to choose a topic that interests her, for best results. Always get approval for a project from the teacher before starting any science project. For this project, you will need three rats or mice. Create the same maze for each rat. Train the rats to go through the maze by placing a piece of bread at the end of the maze. The rats should be able to go through the maze within 20 seconds. After the rats learn the maze, play different music for them as they go through the maze. Play classical music, rock music or no music. See if the different kinds of music break the rat’s concentration as it travels through the maze. Record the time results for each rat to determine if music helps or harms its quest. Use different kinds of real home insulation, or use insulation materials of your own. Fill several containers each with a separate kind of insulation. Place a smaller container inside the insulation containers and place some ice inside. Close the inside containers. Record how long it takes for the ice to melt inside each insulation type. Melt the ice on in a container without insulation for a test group. Record the best kind of insulation and whether it matched your initial hypothesis ideas. Heat water in different temperature increments from 0 degrees Celsius to 99 degrees Celsius. Place a soluble tablet into each container. Record how long the tablet takes to dissolve at different temperature points. Repeat the process with a tablespoon of sugar and the same temperatures. Do sugar and the tablet dissolve the same? Do different temperatures increase or decrease the dissolving process the same for sugar and the tablet? Record the answers in a graph. Create a test box for the project. Place a light bulb inside an enclosed, dark box. Use bulbs of varying wattage and one box without light at all. Place a small glass of 8 ounces of water inside the boxes. Allow the boxes to sit with the lights turned on for a week. Measure the amount of water in the glasses after the week is over. Does the amount of heat in the box increase the amount of evaporation that occurred? How much evaporation occurred in the light without a box compared to the others? What Is the Fastest Way to Cool a Soda for a Science Project? Priddy, Brenda. "Fun Science Project Ideas for the 7th Grade." Sciencing, https://sciencing.com/fun-project-ideas-7th-grade-7956758.html. 25 April 2017.